As I mentioned yesterday, many of you requested I share some looks from Kate over the next few months while Meghan is on maternity leave! We’re taking this one way out of the archives from an event back in July 2017. 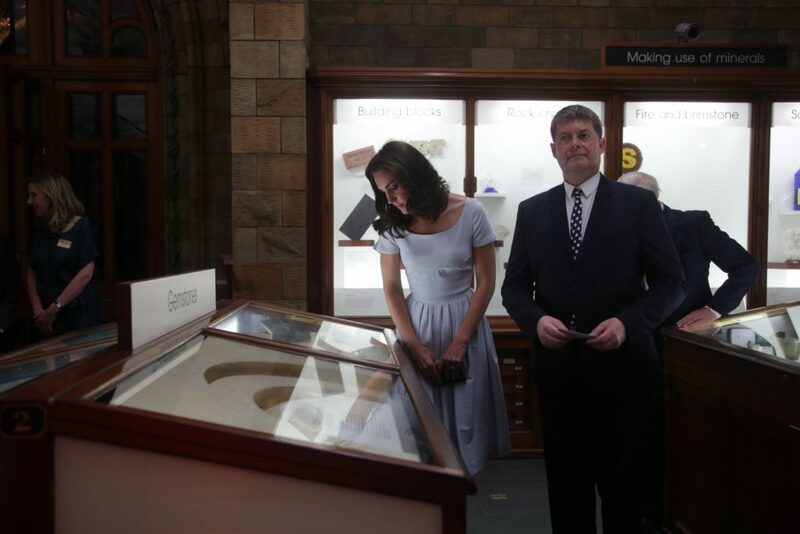 The event the Duchess of Cambridge attended was to celebrate the opening of the Museum’s newly refurbished (at the time…) Hintze Hall. 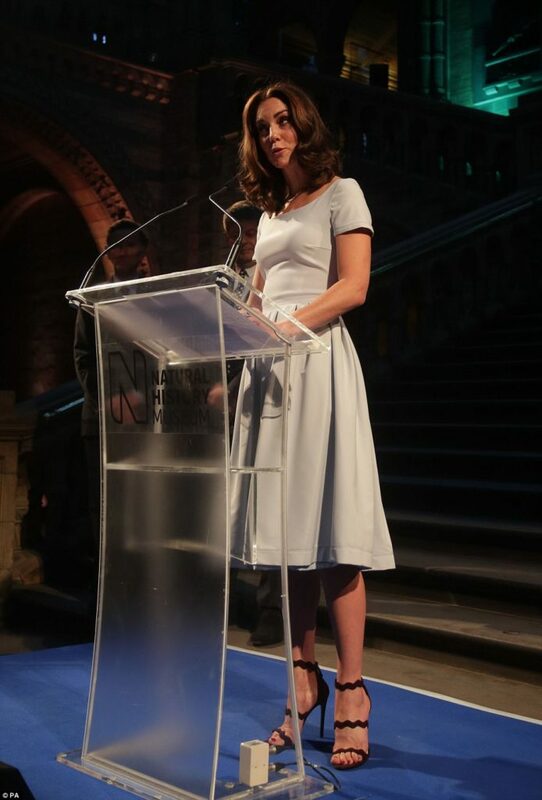 Kate has been a royal patron of the Museum since 2013, and has visited a number of times with her kids! For the summer evening event, Kate opted for a classic pale blue number by Preen – the style is the Everly and sadly no longer available. This midi dress features a scoop neckline, short sleeves, a fitted waist and full skirt. She accessorized with a pair of scalloped Prada sandals that just so happen to still be available! Talk about a statement staple. These shoes also come in blush, gold and silver! I love the idea of getting them in gold for spring/summer weddings. Her clutch is by Jerome C. Rousseau and not available for purchase. While this look is old, I have managed to find a number of similarly shaped white and pale blue dresses that would be great for spring/summer wear!